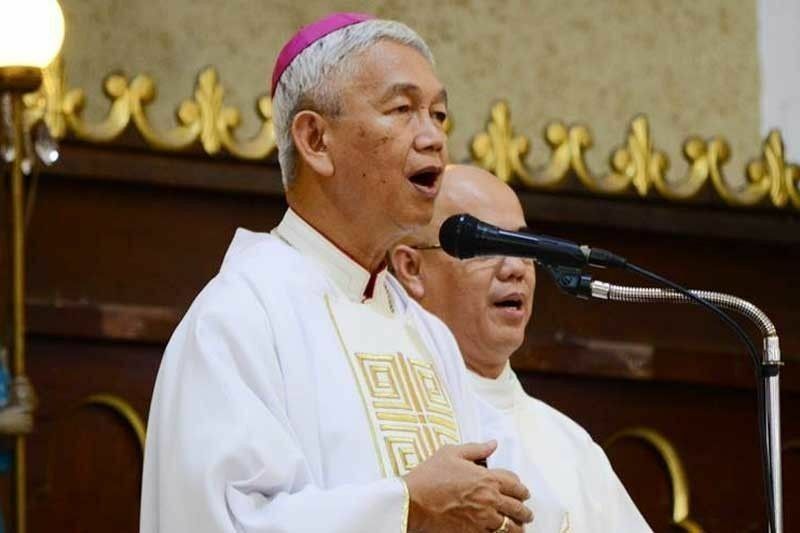 Manila Auxiliary Bishop Broderick Pabillo and San Carlos Bishop Gerardo Alminaza both said that a peace covenant would help lessen the tension among rivals, especially in the local elections. MANILA, Philippines — Catholic bishops yesterday supported appeals to candidates in the May 13 polls to sign a covenant for the peaceful and orderly conduct of the midterm elections. “If peace covenants can help bring peaceful political situation in the local situations, then they are to be encouraged,” Pabillo said in an interview. “Whatever helps (should be pursued) even if some won’t honor it – at least for the record they signed the covenant as we have done here and we can make them accountable after,” Alminaza said. Earlier, the Commission on Elections (Comelec) called on candidates to forge peace covenants in their respective areas. The poll body also appealed to local bets to keep their supporters under control before the start of the campaign for local candidates last Friday. Re-electionist Sen. Sonny Angara said the Comelec should implement a law providing accessible polling places for voters with disability and senior citizens to ensure that they will be able to vote in the May 13 elections. Despite the enactment of Republic Act 10366 in 2013 and the regular issuances by the Comelec requiring polling precincts to be friendlier to persons with disabilities (PWD) and the elderly, Angara noted that recent elections were still marred by complaints on the lack of designated areas to make it easy for them to vote. “I hope that this coming election, the Comelec will be more proactive in ensuring that not a single PWD or senior citizen is disenfranchised only because our polling centers cannot accommodate their needs,” he said. RA 10366 mandates the Comelec to set up polling precincts exclusively for PWDs and senior citizens that are located at ground level—preferably near the entrance—and without physical barriers. This is to make sure that every registered voter has an equal chance of getting to the polling precinct, and filling out and submitting the ballots. For the first time, actor Coco Martin has endorsed the candidacy of re-electionist Sen. Grace Poe in the coming polls. Martin joined Poe’s eldest son Brian in a motorcade in Cebu City, Danao City, Dumanjug, Santander and Tuburan last Sunday. Martin stars in the TV adaptation of FPJ’s 1997 box office hit “Ang Probinsyano.” Martin, who plays the role Ricardo Dalisay in the top-rating TV series, is a co-star of Poe’s mother Susan Roces. Martin also endorsed returning senator Lito Lapid, who played the role Romulo Dumaguit or Pinuno in Ang Probinsyano. Brian, for his part, thanked Martin for supporting his mother while recognizing the actor as his “brother” and a close friend of the Poe family.